In October 1984, the movie “The Terminator” introduced us to Skynet, a futuristic artificial intelligence system that eventually became “self-aware” before turning on its creators and aiming to wipe out humanity. It is an overly sensational image of a future dominated by renegade intelligent machines. In a more realistic future environment, artificial intelligence is distributed throughout the battlespace, collecting, curating, aggregating, fusing and routing information to create an ever-increasing advantage across various operations and sustainment scenarios for the military. Unlike Skynet, this distributed AI is underpinned by a delegation framework where humans are essential. With this in mind, I’m reminded what Gen. Raymond Thomas, the commander of U.S. Special Operations Command, said last December: “We need to embrace technology as a central essential weapon in our arsenal.” So how do we do that with an AI system? 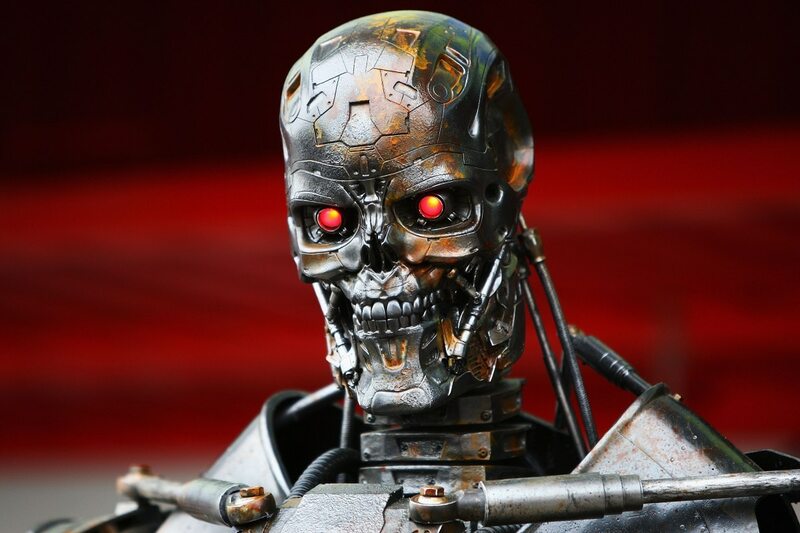 In the movie, Skynet was originally built as a “Global Information Digital Defense Network” providing an omni-connected platform that, in many ways, resembles the goals of the Department of Defense’s digital transformation effort. 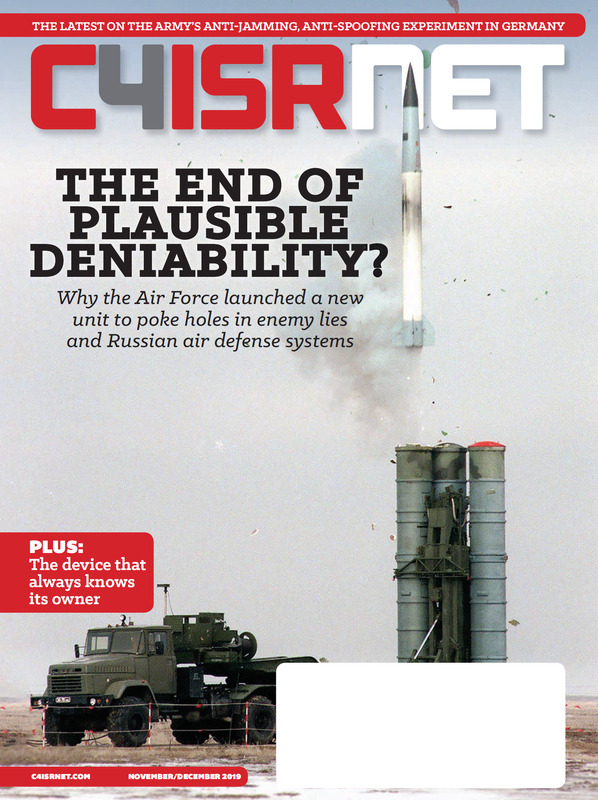 As the DoD invests in innovative technologies — private and public-private cloud computing, software-defined networking, and the sense and respond promise of the internet of things — military decisions will become powered by real-time data. In turn, having a superior, multi-network architecture that is agile, integrated, resilient and capable of adapting in a continually changing environment will be key. This type of network, with human oversight, can give our military the ultimate advantage on the battlefield through mission assurance, sustained operations and greater awareness. In this era where data is core to operations, the network of networks can ensure data has the freedom to operate, enhancing mission assurance with continuously monitoring its own health, locking down and remediating threats at machine speed, and intuitively managing routing based on the need for speed, efficiency, security and arrival surety. Continuous behavior analysis – assesses user and network traffic patterns (path, frequency, volume) to detect, identify and isolate atypical actions characteristic of persistent insider and outsider threats. Artificial intelligence-infused cybersecurity tools – interact with each other and advanced, instrumented network devices to minimize threat surface and execute detection-isolation-remediation cycles at machine speed. Application performance monitoring – identify any miscues in real-time that can indicate threat interference. In sustainment, advances in AI, in conjunction with machine learning and in-line data analytics, will improve military operations across a range of functions to help sustain readiness levels and mission assurance. For example, let’s say a 5-axis milling machine critical to aircraft depot workflow can detect vibration and heat. During a milling operation, momentary vibration levels are too high and the machine sends an alert to its operators while it’s still in operation. Operators are queued to shift operations to an alternate machine so the faulty machine can be fixed. Then technicians are given a window to perform maintenance on the faulty machine and a main shaft bearing overhaul kit is ordered with 12-hour delivery. The result: no break in workflow. This kind of connected factory environment, enabled by digital transformation, is essential to sustain global military operations. For military leaders and ground soldiers, few things are more important than situational awareness. With a robust global network, artificial intelligence technologies enable our military to become hyper-aware on multiple fronts tracking global resources, expediting information sharing across theaters and providing real-time analysis on the battlefield. For example, suppose an airborne, supply package is hours from crossing the battlespace line when satellites use imagery and signal surveillance to identify changes in the package’s environment. While going through tactical, operational, and strategic command and control centers, this data is progressively exposed to analytics that identify directional and altitude adjustments required for the package to successfully cross the battlespace line. Just before crossing the line, the airborne package is updated via sensors carried securely across a combination of defense and commercial links including fiber, long-range radios and short-range datalinks increasing the safety of the package and operational success. In-line systems analyze incoming data, identify new application performance issues and flag anything that needs to be updated or replaced. An analysis that may take a team of human analysts three months is reduced to minutes with network-hosted, distributed artificial intelligence. The DoD is growing its investment in machine learning and AI technology because it’s what’s needed to succeed in both the physical and digital battlespace. Last year, the DoD spent $7.4 billion on big data, cloud and AI technologies. As we transform, AI can significantly enhance our mission effectiveness. We must expand our platforms with human oversight driving a healthy balance of human, physical and cyber assets to give the United States, its allies and partners the advantage. So instead of the Skynet seen in the movies, we’ll have a clear balance of machine and human. Carl De Groote is director of defense operations at multinational IT, networking and cybersecurity company Cisco Systems. Chuck Louisell, Ph.D., is a defense strategist at Cisco.